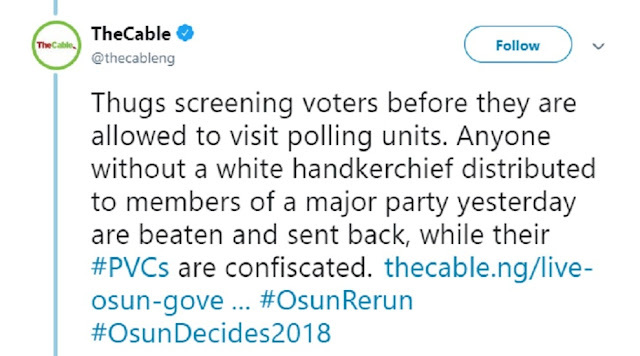 According to Nigerian news site, The Cable, thugs were screening voters before they were allowed to visit polling units during the just-concluded rerun election in Osun State. 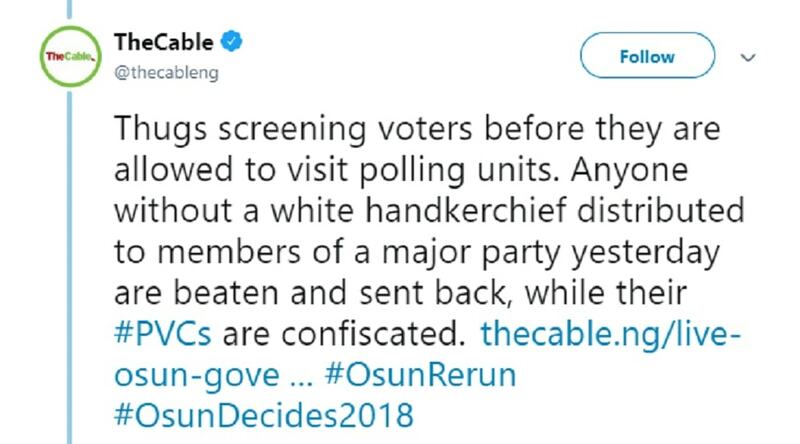 "Anyone without a white handkerchief distributed to members of a major party yesterday are beaten and sent back, while their PVCs are confiscated," the news outfit tweeted. 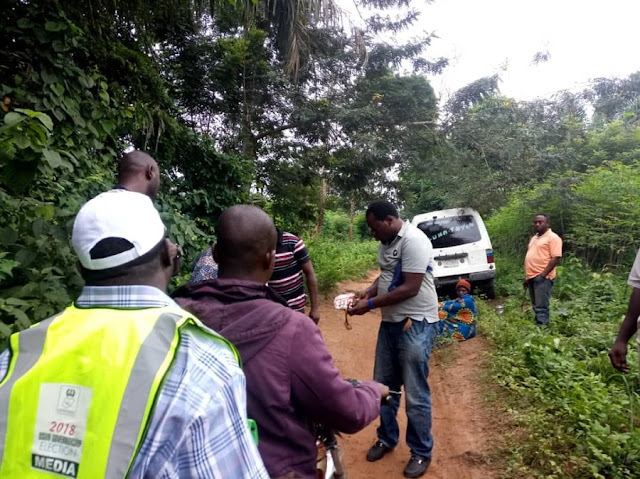 The election held in Osun State on Saturday was declared inconclusive by the Independent National Electoral Commission. The commission announced a rerun which took place Thursday in seven polling units in four local governments areas in the state. At the time of writing this post, INEC is yet to announce a winner, though results from the polling units involved in the rerun election suggest that the All Progressives Congress’ candidate, Gboyega Oyetola, will be declared the winner.